Hiro (Kyoto, Japan) on 16 July 2015 in Landscape & Rural and Portfolio. Beautiful color and fine atmosphere. Superb composition! I like it! Superb composition and very beautiful colors ! Excellent composition with miraculous golden-green! We are under the attack of heavy-heavy rains and crazy winds right now, at almost 11 PM. So, I wonder if you are in the path of the Typhoon or not?! We are only on the margin of it! @Japanalia: Thanks. From Friday night to Saturday morning, we also had heavy rain. JR did not move until Saturday afternoon. with beautiful composition, colors, lighting, textures & reflections! A fantastic shot with the bridge. 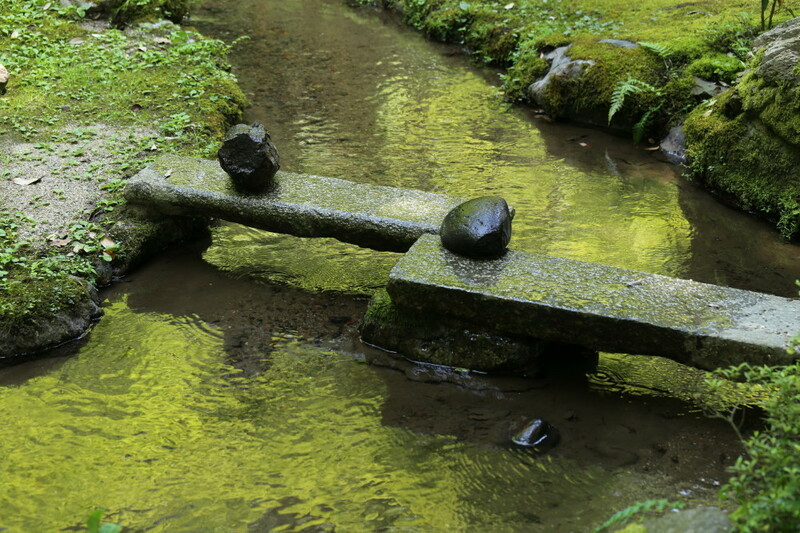 Why the stones on the bridge? Splendid color throughout with great patterns spotted on the water!! This bridge reminds me of another bridge I spotted in a Japanese garden HERE. @Steven: Same zig-zag. This one is much smaller, though. Sueprbe petit pont de pierre avec les deux rcailloux quelle vue et ces tons sueprbe.